So effective, even VAMPIRES can enjoy the sunlight! Ingredients: Organic Jojoba Oil, Organic Unrefined Shea Butter, Organic Beeswax, Organic Virgin Coconut Oil, Organic Camellia Oil, Organic Cocoa Butter, NON-NANO, NON-Micronized Zinc Oxide, Organic Rosemary Extract. Our sunscreen does not contain chemicals to keep the base intact, so it can change with temperature changes. This will NOT effect the product or its efficacy. If the product is a bit too hard, try to warm the tube between your hands. If it is clumpy, dispense the product and then rub it vigorously to melt the clumps. I really love this sunscreen! It comes out thick and creamy, goes on white but rubs in great, and it absorbs fast so I don't feel greasy all day. One of my favorite Poofy summer products. One tube lasts my family of 4 all summer. Time to buy a new tube! I am extremely happy with this sunscreen. I live in Florida, so I need all year protection and this works, and it is safe. This is the third summer we will be using Poofy Sunscreen on my 6 year old and I sometimes use it as well. We love it! I just put some in my fingers and rub it between my fingers to warm it up a bit. It does keep a whiteish tint on the skin. It works well and we haven't had any burns with it. One tube also lasts a long time! I do buy a fresh tube every summer but we always have some leftover. Works great, not too small! We are on the water frequently in the summer. The sunscreen worked great! The container looks so small but it actually lasted much longer than I thought it would! This sunscreen is the best out there! Works perfectly on my allergy sensitive skin and keeps me totally protected from the sun. I work out in the garden for many hours in the sun and it's never failed me. 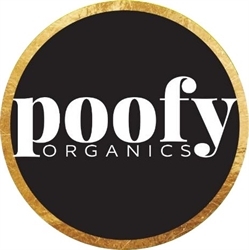 I highly recommend Poofy Organic products. works great won't use any other kind, only complaint is that its a bit tough to get out of the bottle. I love this sunscreen but it makes my face soooo pale. Maybe just because my skin tone (I'm asian). But I love this. So I usually apply foundation on it. We had a heatwave over the long holiday weekend in the NE. I applied THE Sunscreen around my kids T-shirts (arms, neck) and face prior to them going outside to play. While outside, they began playing with water and removed their shirts. I asked them to dry off so that I could apply more sunscreen. In less that 1 hour in the sun drying, my kids burned everywhere that I had not originally placed THE Sunscreen on! I feel horrible, but I know this stuff works! This sunscreen is wonderful! I am incredibly light skinned, I never tan only burn. I spend hours at my children's outdoor events and this sunscreen saves my life..quite literally. I love how it feels on my skin, and it is also a great primer. Amazing, just amazing! Love, love, love! This sunscreen works amazingly well. It is very thick and a little bit goes a long way! Make sure to reapply every couple of hours though if you will be exposed for a long time. Rubs in fully and doesn't leave a sticky residue! Safe for the whole family!